At Bay Area Tree Specialists, we believe that healthy and thriving trees add important financial and aesthetic value to your home and your property. Protect the investment that your trees represent. 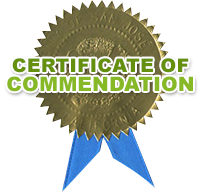 Our professionals offer decades of expertise in all phases of tree care service San Jose Bay Area & Palo Alto and are committed to excellence and professionalism with each service call we make. When it comes time to have the trees in your landscape maintained, trust in a company whose Arborist hold multiple certifications; San Jose / Palo Alto Certified Arborist, Licensed Applicators, Certified Tree Risk Assessor and Certified Tree Care Safety Professional. 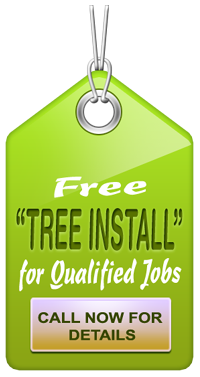 These qualifications insure the most up to date modern techniques, and knowledge of the industry are being applied to the care of your trees, whether it is normal or our 24-hour emergency tree care/removal services. As members of the International Society of Arboriculture, we take our commitment to the health of your trees seriously. Our employees are constantly updated on training to professional ISA standards and hold certifications such as Line Clearance Pruning for trees and Chipper Safety Certification. Our owner, Richard Smith, takes personal pride in every tree we plant or tree pruning and takes personal responsibility for providing the most reliable and professional tree services available in the Bay Area. Bay Area Tree Specialists Plant Health Care takes tree care to the next level. Insuring proper nutrients to keep your trees in stellar health, with a deep rich vibrant color! We also mange and utilize “Tree Growth Regulators”, known to control those types of beautiful trees that are at the perfect size now, and if allowed to continue to expand in height and size would be less than perfect. Our Plant Health Care Team can handle any pest issues that affect trees, such as termites, beetles, aphid infestation, fireblight, and verticillium with sod. Our state of the art diagnosis ability and prescription for treatment, together we can insure your trees longevity and happiness. 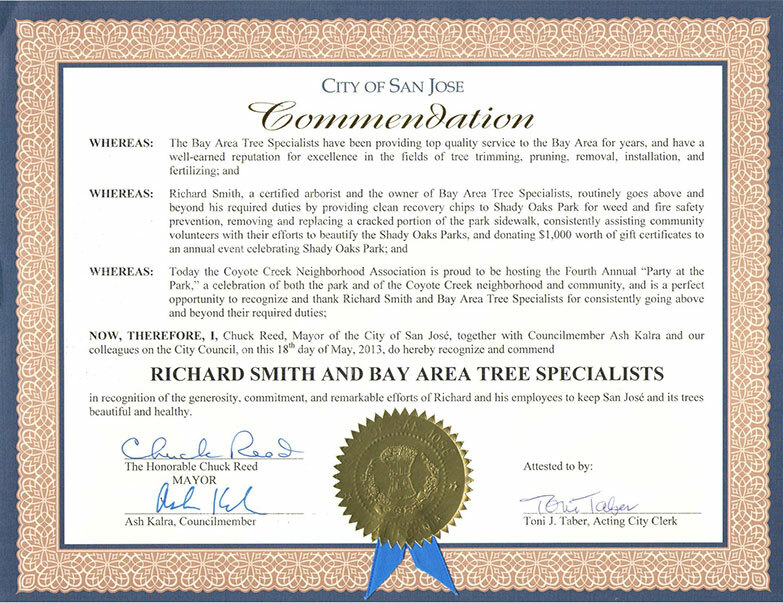 As a certified arborist San Jose Bay Area residents can trust Richard Smith and team to take care of all their tree care service needs. Bay Area Tree Specialists provide complete tree care services & 24-hour emergency service in San Jose, including the neighborhoods of Evergreen, Willow Glen, Almaden Valley, Alviso, Alum Rock, North & South San Jose; Palo Alto, Santa Clara, Monte Vista, and other areas in California's Bay Area. To find out more, visit our Contact Us page and fill out the form or call us TODAY.